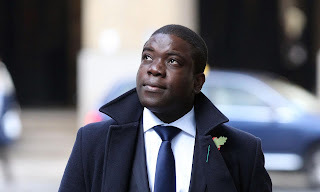 "Kweku Adoboli,35 was released four months ago from a seven-year sentence following his 2012 conviction for causing a $2.3billion loss while a trader on the exchange traded funds desk at UBS." Ghananian funds trader who caused the biggest unauthorised trading loss in the UK history has been told he will be deported to Ghana. According to London Evening Standard, an immigration tribunal ruled he should be deported to his home country. Kweku Adoboli plans to appeal the ruling saying he had lived in England for twenty-three years(23years). The Home Office seeks to deport any foreign national who has been sentenced to longer than four years in the UK except in "exceptional circumstances"